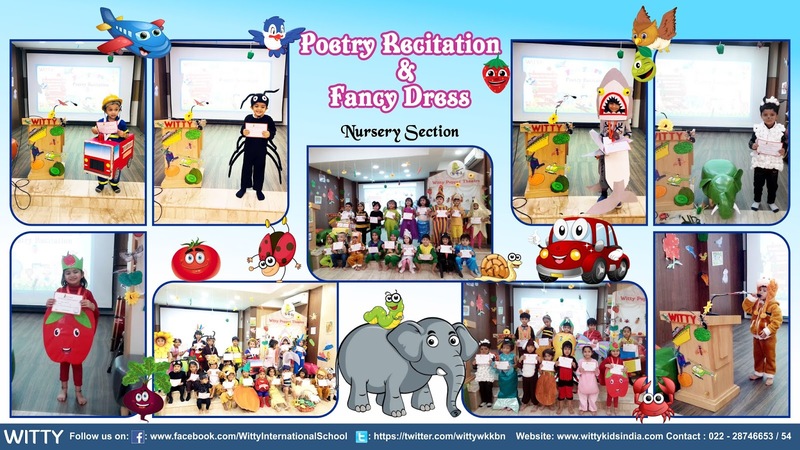 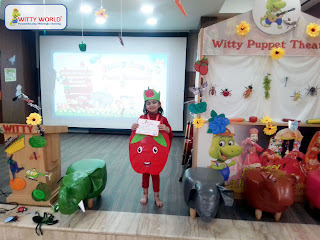 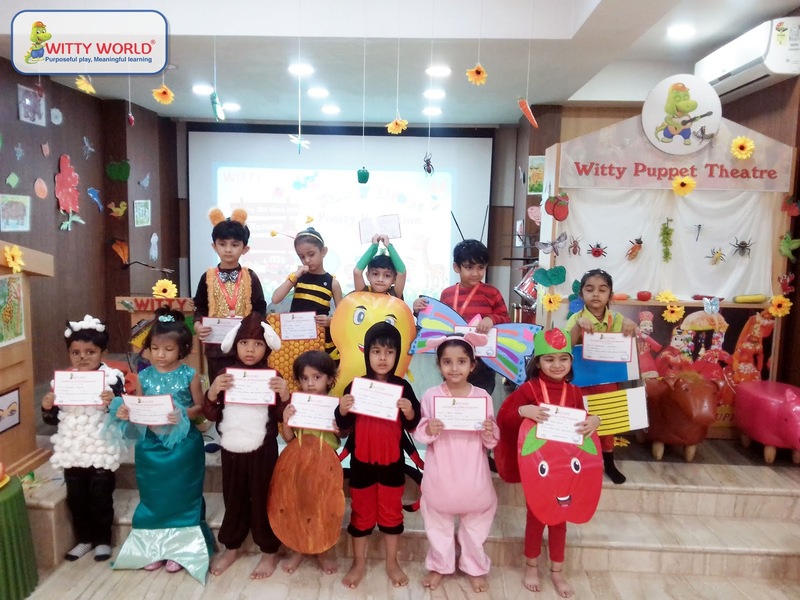 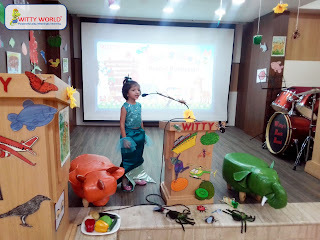 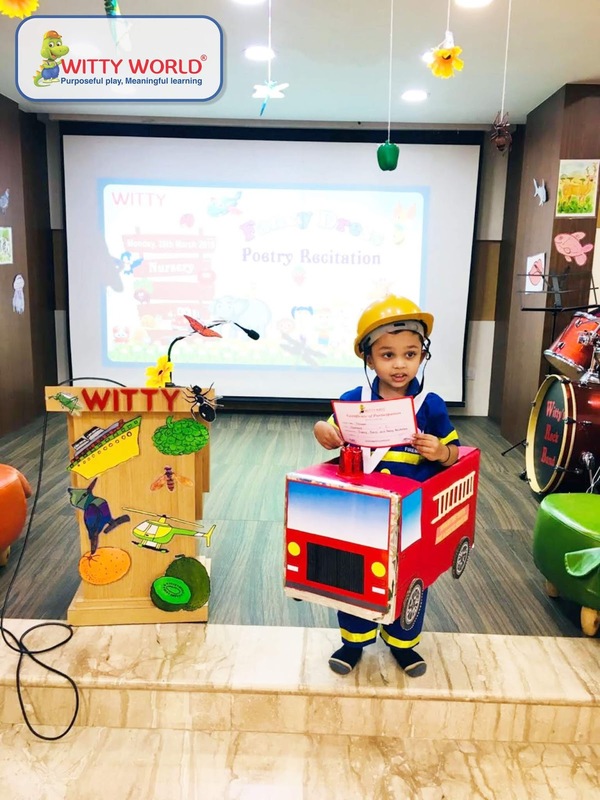 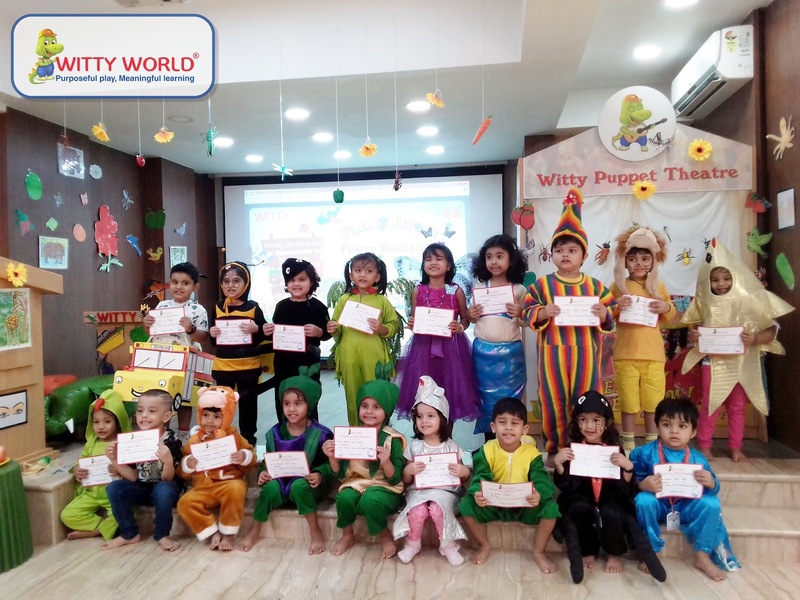 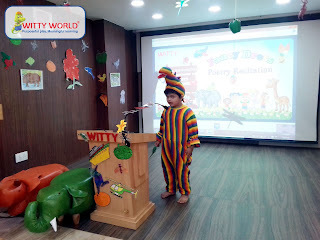 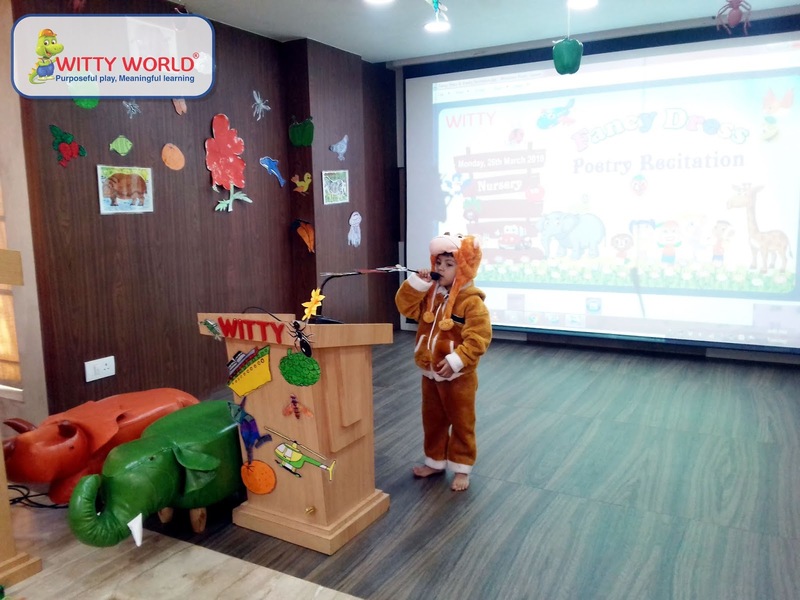 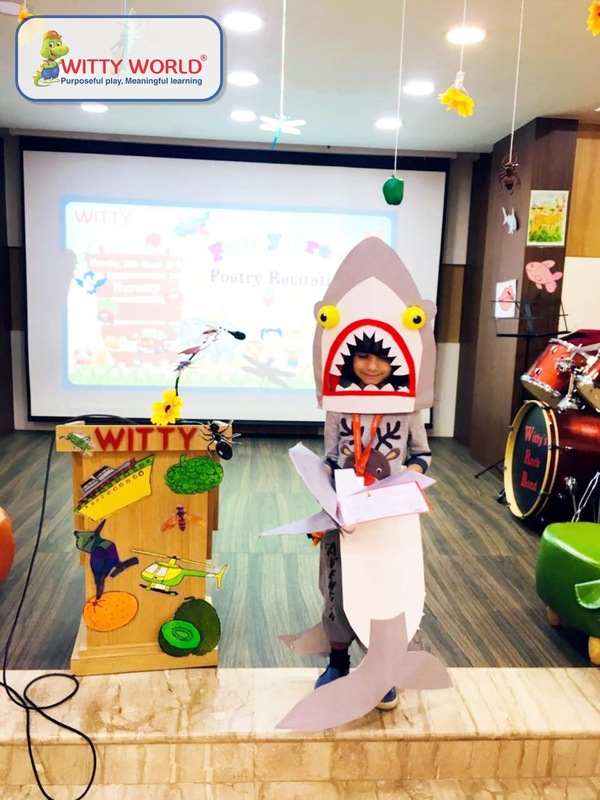 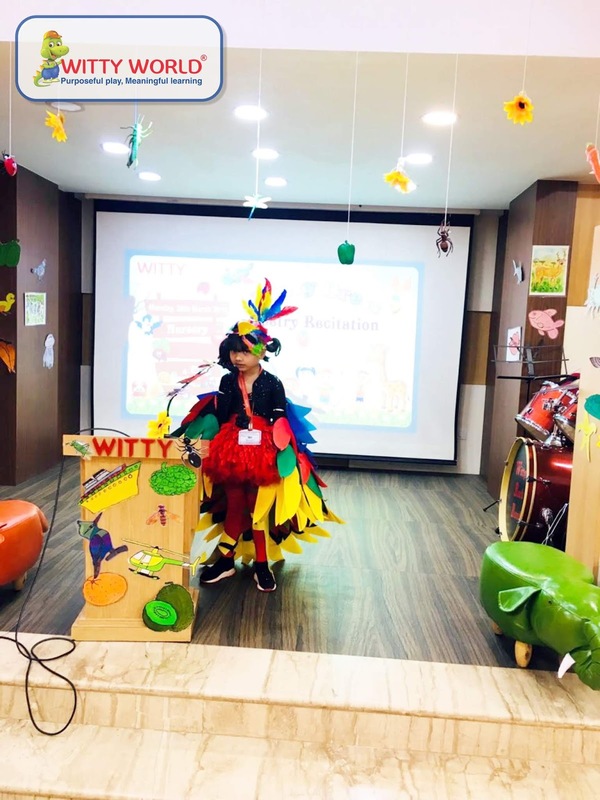 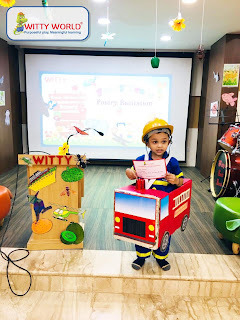 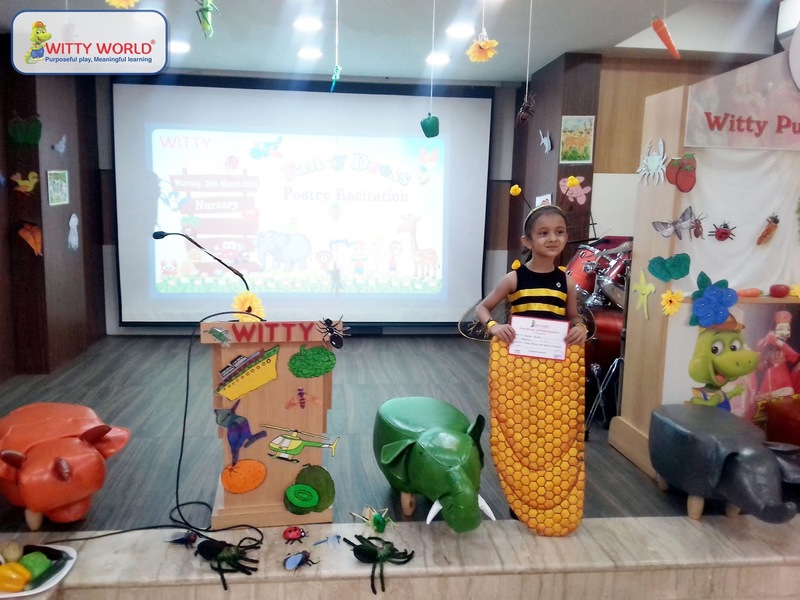 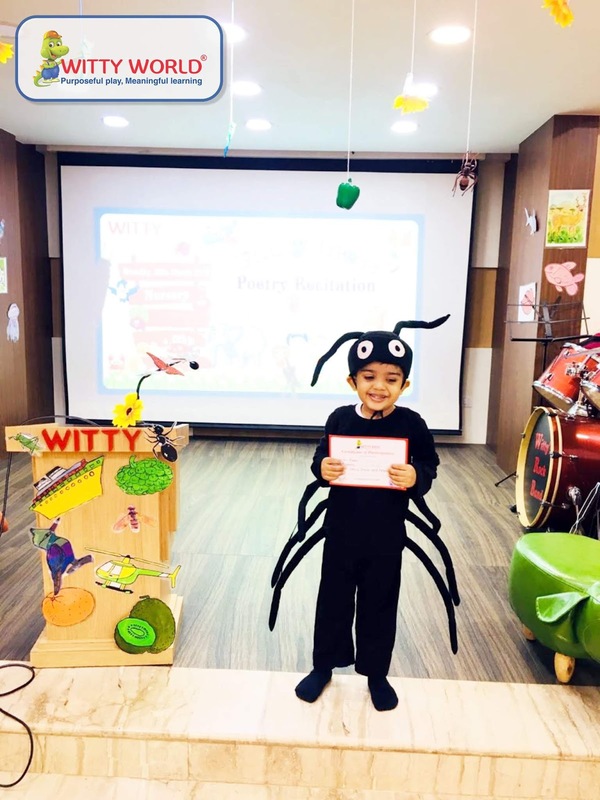 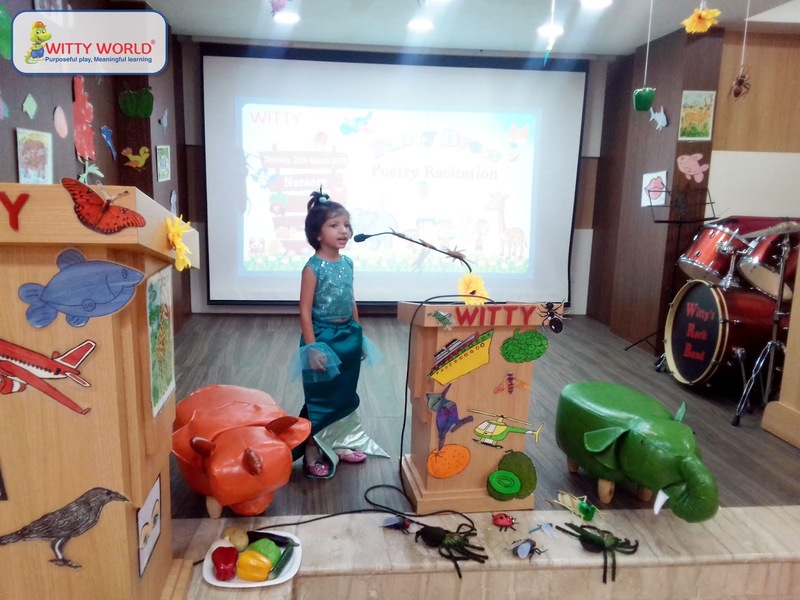 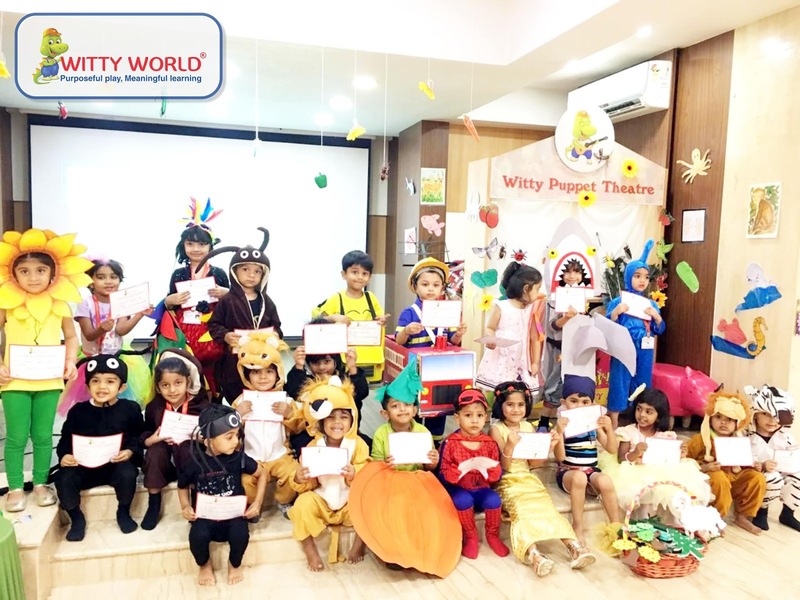 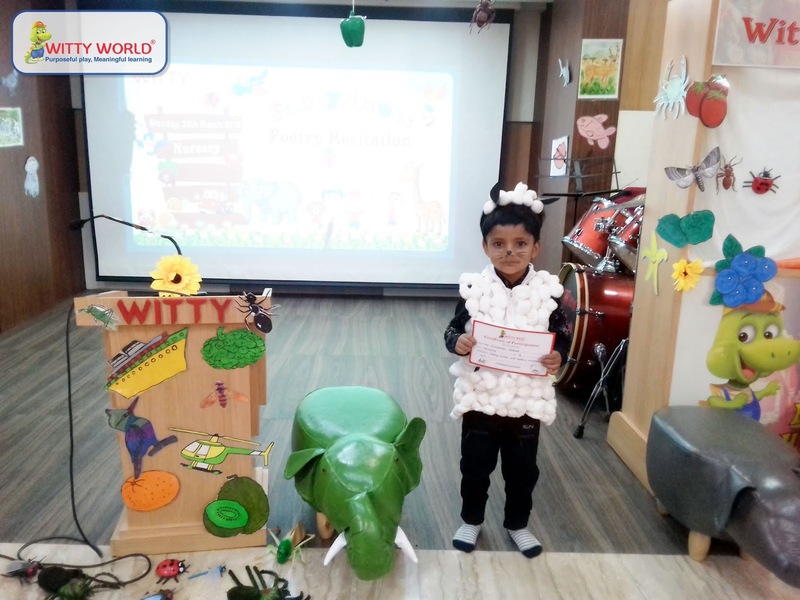 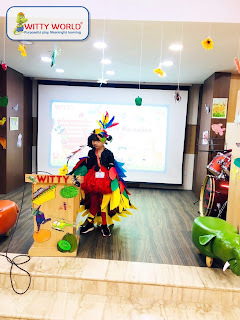 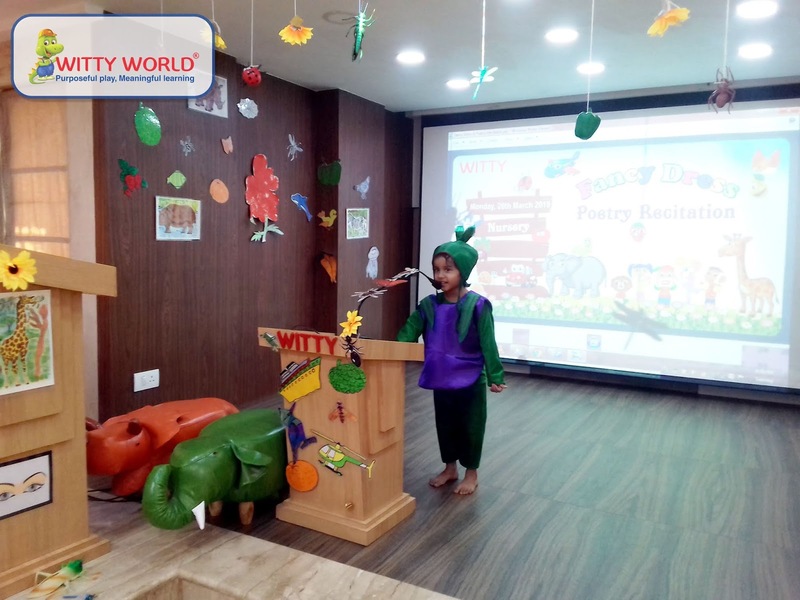 On Tuesday, 26th march, 2019 ‘The Sparkling Stars of Nursery section’ participated in Fancy Dress and poetry recitation ‘Theme for Fancy Dress was ‘Marine Animals’, insects and flowers , fruits, vegetables, wild animals , 5 senses , transport. 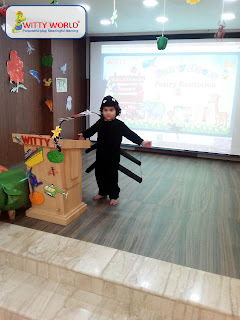 Little Wittians came dressed as different types of Fishes, vegetables, insects , wild animals etc. 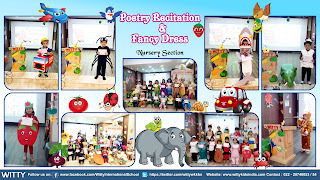 The teacher’s motivated children to speak few words and recite poem about the character they were dressed up in. 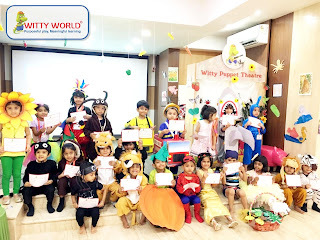 ‘Fancy dress was a creative learning experience for the little tots’! !